Leading Manufacturer of angel showers, deluxe showers, multi flow hand shower, pearl hand shower, opal hand showers and pearl abs hand showers from Delhi. Judicious combination of men and machinery has enabled us to manufacture, export and supply a wide orbit of Angel Showers. 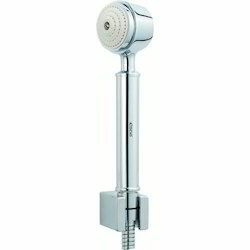 The offered hand shower is well tested in terms of quality for delivering a defect free range at customer’s end. This hand shower is manufactured with the help of premium quality material keeping in pace with industry norms. 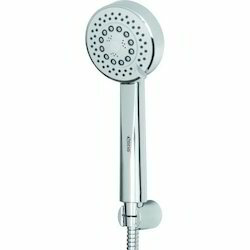 Clients can avail this hand shower from us in assorted specifications as per their requirements at reasonable rates. For a considerable length of time we have offering the finest quality Deluxe Showers to our clients. Offering fine complete, smooth surface, higher productivity and simple establishment these items are very requested in the business. Their exact designing and skilful creation conveys them their greatly refreshing highlights. All materials we use in the creating of these items are profoundly tough and solid making the last items durable and intense. We offer these items to our clients at driving costs. With the assistance of our accomplished and gifted experts, we have the capacity to fabricate and supply Customizable Multi Flow Hand Shower to our regarded clients. The offered shower is made using high review crude materials and current hardware as per the universal quality benchmarks. Our item is exceptionally requested in the business and is accessible in distinctive particulars at an extremely sensible expense. We are enrolled as zenith firm occupied with giving an expansive scope of Pearl Hand Shower. These are broadly utilized at homes and different spots for different purposes. The complete extent we offer is produced utilizing quality guaranteed material as a part of agreement set modern standards & models. Also, we offer these items in perfect bundling and inside given time span.